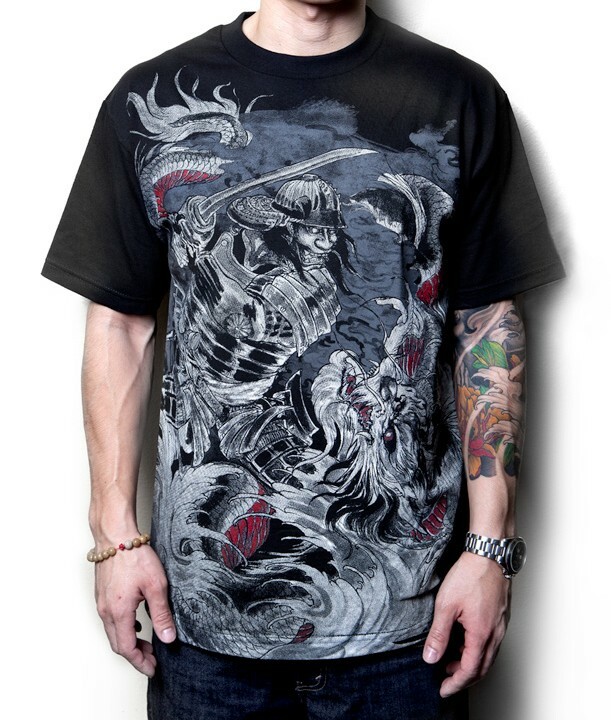 Samurai & Dragon Limited Edition T-Shirt in Black. 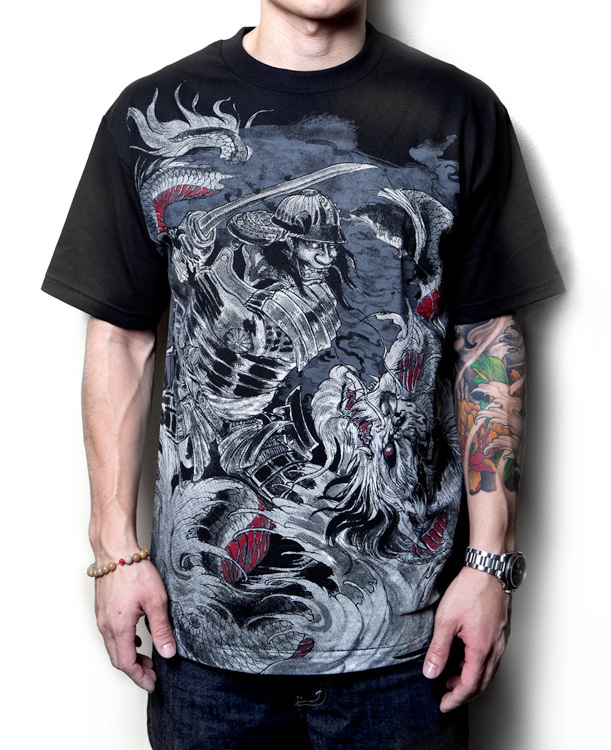 Designed by Master Mike of Inkfiend Art. Double-needle bottom hem and sleeves. Shoulder-to-shoulder tape.